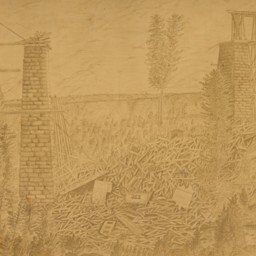 Drawing showing the ruins of the Narrow Passage Bridge following its collapse on March 6, 1876. Produced by W.O. Towns of Mt. Jackson Virginia. New Steel R.R. 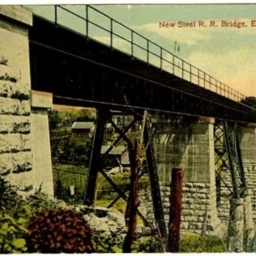 Bridge, Edinburg Va.
Color postcard with a picture of the railroad bridge crossing Narrow Passage Creek. 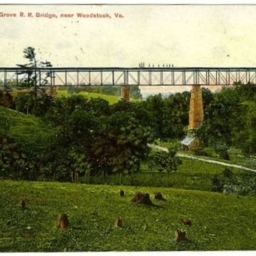 The bridge is located between Woodstock and Edinburg Virginia. 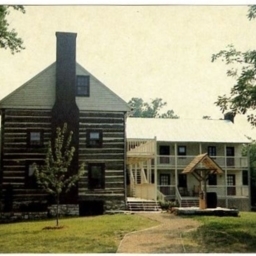 Color postcard with a picture of the Inn at Narrow Passage located between Woodstock and Edinburg Virginia. The Inn is described as a log bed and breakfast built in the 1740s overlooking the Shenandoah River. 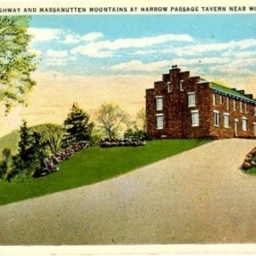 Lee Highway and Massanutten Mountains at Narrow Passage Tavern Near Woodstock VA.
Color postcard showing a picture of Dorthy's Inn, also called the Narrow Passage Tavern, located near Woodstock Virginia at Narrow Passage. 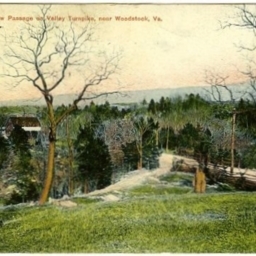 Narrow Passage on Valley Turnpike, near Woodstock, Va.
Color postcard with a picture of the Narrow Passage area and the Valley Turnpike. 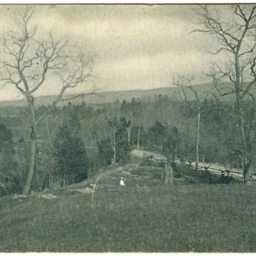 Postcard with a picture of the Narrow Passage area and the Valley Turnpike near Woodstock Virginia. Willow Grove R.R. 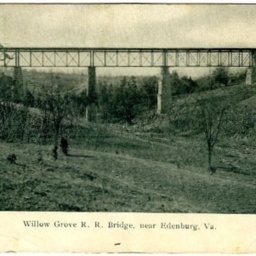 Bridge, near Edinburg, Va.
Postcard showing a picture of the railroad bridge at Willow Grove, also known as Narrow Passage, south of Woodstock Virginia. Narrow Passage R.R. 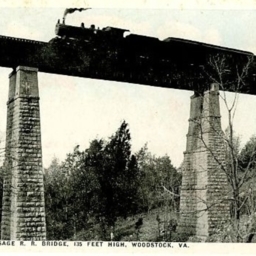 Bridge, 135 Feet High, Woodstock Va.
Postcard with a picture of a steam locomotive and train crossing the Narrow Passage Railroad bridge located south of Woodstock Va.
Willow Grove R.R. Bridge, near Woodstock Va.
Color postcard with a picture of the railroad bridge that crosses Narrow Passage Creek at the Willow Grove/Narrow Passage community just south of Woodstock Virginia. 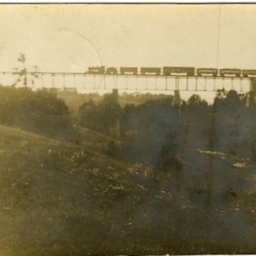 Postcard with a photograph of a steam locomotive and train crossing the railroad bridge across Narrow Passage at the Willow Grove Community. 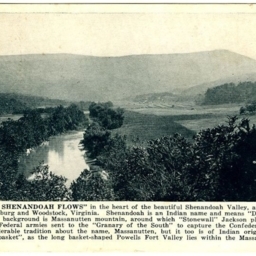 Postcard with a picture of the Shenandoah River at Narrow Passage between Woodstock and Edinburg Virginia. Includes a description of the area.